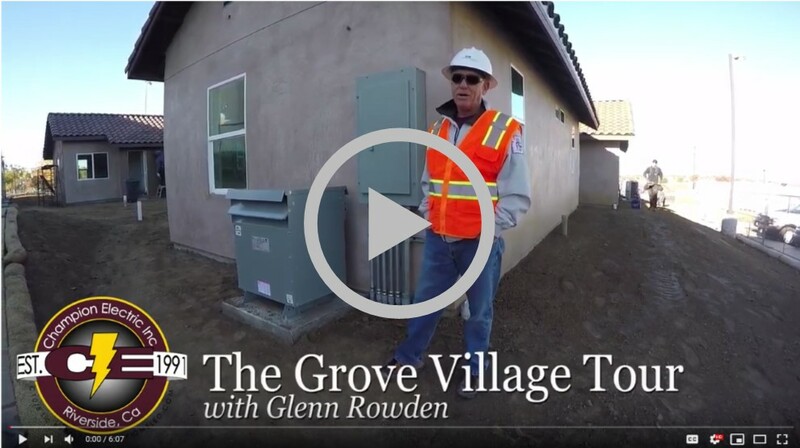 When our Founder, Glenn Rowden, heard about his friend and Riverside Mayor, Rusty Bailey's #LoveYourNeighbor campaign and The Grove Village community outreach project, he knew Champion Electric needed to be involved. 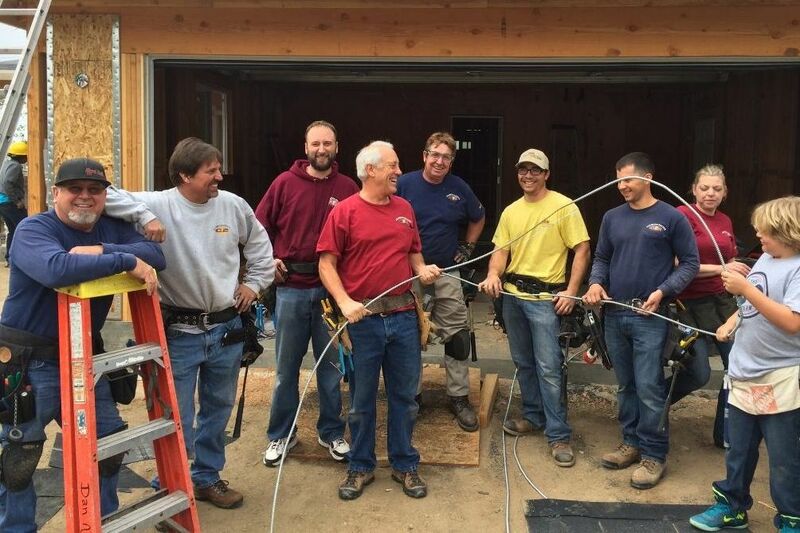 Champion stepped up, along with our vendors, and donated all the time and materials needed to complete the electrical for this ground-up project. The Grove Village project consisted of 4, 600 square foot transitional house created to transition 4 potential homeless families through Path of Life Ministries. 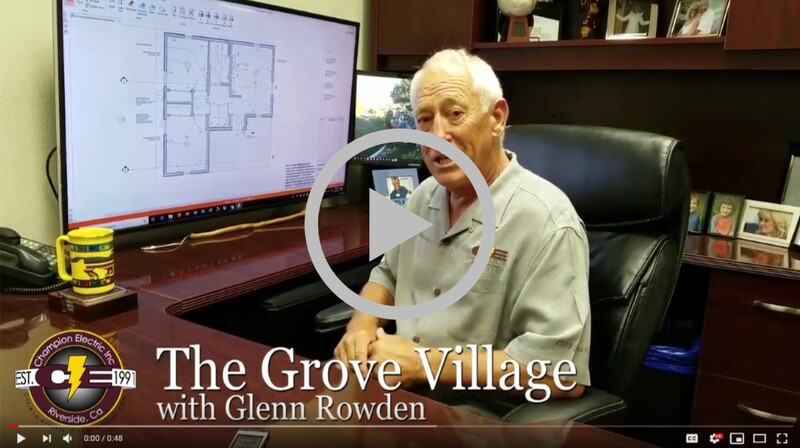 Hear what Glenn has to say in this video prior to the start of the project. CED for the generous donation of underground material, lighting fixtures, and extra items. American Electric Supply for the generous donation of switchgear items and feeder wire. Main Electric Supply for the generous donation of general electrical materials including wire, boxes, fittings, devices, etc. Western Enterprises for the generous donation of the main feed breaker. The Grove Community Church donated the land and provided the 3 phase power to the village which is far more powerful than the 120, 204 single phase power of an average home. This amount of power really helped this project because the village is all electric, no gas (due to issues with the gas company). Take a tour of the project right before it was completed. 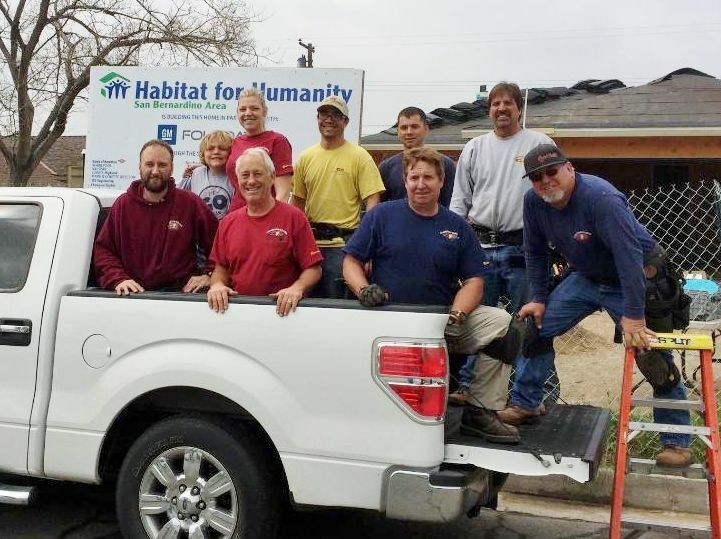 In 2018, Champion Electric completed 2 Habitat for Humanity houses in Grand Terrace. The completed houses were given to the Habte and Miller families on November 17th, 2018. Both projects were on the same lot and are located at 12569 and 12579 Michigan Street. Read more about the families by clicking here. Check out all our hard work! We recognized our Account Manager, Gene Barnhurst, at our Champion Christmas party on December 8th for his dedication and commitment to these Habitat for Humanity houses. These projects were bid 3 years prior to the start date but Gene stayed committed all the way through completion. Gene requested and managed volunteers, worked with vendors and subs to honor the outdated bid prices and overall made this project a success! CED for discounting materials for this project. 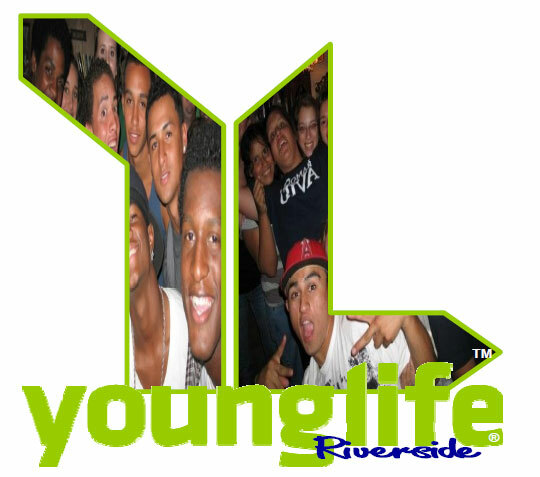 Young Life Riverside holds a special place in Glenn and Tom’s life. 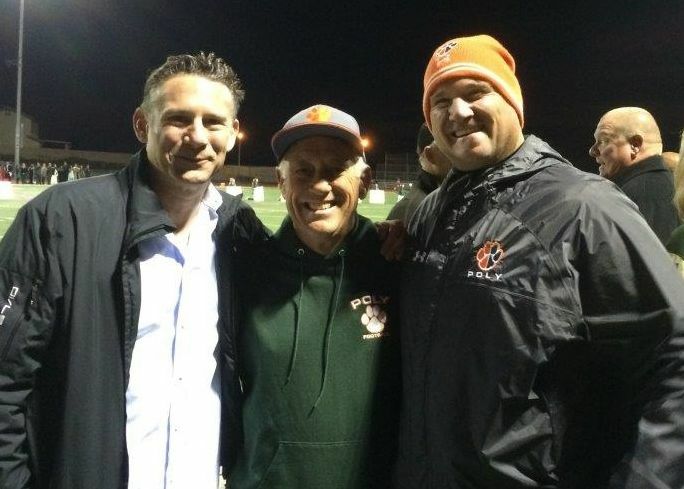 Glenn has been a part of Young Life since he was a teenage, served as a leader as an adult, encouraged Tom to be involved as a teenage and now both Glenn and Tom support Young Life Riverside as much as they can. Champion Electric is involved in the Young Life Roundup fundraiser every March and has hosted numerous Poker Tournament fundraisers throughout the year. Young Life Riverside is dedicated to mentoring local youths and sharing the word of God, Champion Electric Inc. has not only donated time but financial support for this program.